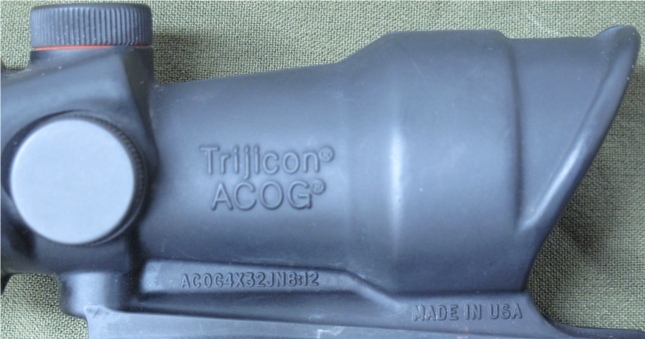 The ACOG model I tested is the TA01, 4x32, with red crosshair, full illumination. The reticule is black during daytime. It also incorporates a bullet drop compensator to engage targets farther than the zero, without having to adjust the elevation. 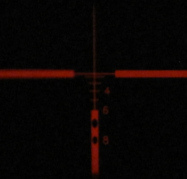 At night, tritium illuminates the reticle. 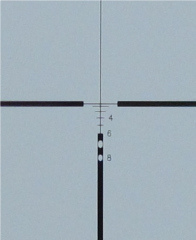 On this model, the following can be seen: ACOG4X32JN8:12. Yes, JN8:12 is a biblical reference.